The New Year is right around the corner and it is time to start creating some realistic fitness resolutions that will fit your lifestyle! In our rapidly growing and changing society, it should come as no surprise that the top fitness trends vary from year to year. For the 9th year in a row, the American College of Sports Medicine (ACSM) released statics from a worldwide fitness trends survey in their Health and Fitness Journal. Check out the Top 5 Trends here, as well as some past trends that have fallen off of the track. Body weight training – Time to get back to the basics! First defined as a trend in 2013, body weight training has become increasingly popular and is here to stay. This minimalist workout requires very little equipment, making it low cost. Often times, people think that body weight training can only consist of basic push-ups and sit-ups. While those are still great, you might consider mixing up your classic exercises by adding some flare through suspension training, adult jungle gyms, and gymnastics-based exercises. Get creative with your natural resistance training while incorporating ever-popular lunges, squats, and burpees. 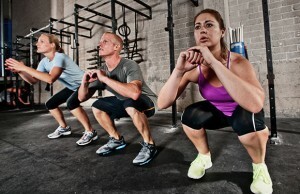 High-intensity interval training – Crank up the music and get ready for some sweaty and powerful interval training! Ranked #1 in last year’s survey, high-intensity interval training (HIIT) has taken a small step back but isn’t going away anytime soon. Some examples of HIIT exercise programs are P90x and CrossFit, but HIIT doesn’t have to come from an established program—you can make up your own series of exercises too. Characterized by short bursts of extreme exercise with small recovery breaks in between, HIIT will push you past your limits physically and mentally. If you are easily bored, then this is the workout for you! With endless varieties of movements at a lightning pace, you will not have time to stop and think, much less get bored. This style of workout is also great for busy lifestyles because it allows you to get in a highly effective workout in just 30 minutes. Educated, certified, and experienced fitness professionals – Have you ever been interested in becoming a fitness professional? An increasing number of community colleges, universities, and third-party organizations are becoming accredited by the National Commission for Certifying Agencies (NCCA) and offering fitness-related certification programs. Get the most out of your valuable time by exercising in a setting that will reward you with a certification! Some popular certifications to work toward are group fitness, athletic training, personal training, yoga, and aqua. Strength training – Prepare to see some definition and tone in your physique! 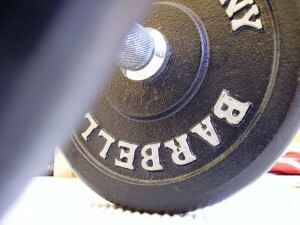 Strength training is the utilization of weights to push your body to new limits. Strength training has been practiced for ages, likely because of its highly measurable results. Many strength training exercises are similar to body weight training, but they kick up muscle-building power with the addition of hand-held weights or weights machines. Strength training in one form or another is found at almost every fitness establishment and is becoming increasingly popular for all ages, even those with chronic disease. Grab some dumbbells and go at it—you don’t need much to see improvements in muscle tone! Personal training – Would you like to have one-on-one specialized training to get in shape? Personal training will be on the rise in 2015 due to the increasing number of certification courses available. Having a personal trainer provides you with a unique workout regimen as well as built-in motivation and accountability. Take advantage of personal training while accessibility is at its highest. Show up to your workout with a clear mind, knowing that you will see results without having to come up with the motions. Unfortunately, not every fitness trend can maintain popularity. In this coming year, zumba, Pilates, and indoor cycling (to name a few) will be falling off of the map. Zumba – This dance exercise consisting of Latin rhythms and body weight training reached its peak of popularity in 2012. However, over the past two years Zumba has dropped down to 34 out of the 39 potential fitness trends. This trend might be fun but the hype was short-lived. Expect to see fewer and fewer Zumba classes popping up; you’re likely to find more HIIT classes. Pilates – Pilates has been popular for quite a while but has fallen off of the top 20 for the past two years. But yoga, which has a lot of similar characteristics but more variations, has remained popular. Indoor Cycling – Many classes that practice sport-specific exercise have become less popular. Indoor cycling has been trending down since 2012. Other fitness trends to note that did not make the top 20 are mixed martial arts, online training, unmonitored fitness facilities, and medical ball slamming. Take your personal fitness to a whole new level this year. Try swapping Zumba with HIIT or simply work out with what you’ve got through body weight training. Stay motivated by using fitness devices such as wristbands, monitors, and apps that follow your workouts, track your progress, and give back valuable information. Change up your exercise routine to stay engaged and get ready to revel in the results!